SOUTH AFRICA- A COUNTRY MOVING A STEP CLOSER TO TOTAL ANARCHY: PREPPING THE “NEW ” RULERS. WITH the upcoming elections and the preliminary indications running it – appears that South Africa can brace itself for a very bumpy ride full of anarchy and turmoil. On the political side things does not look good for the country as a whole- with the majority young jobless half-wits all now gathering on the side of the militant rogue Economic Freedom Fighters of the British paid agent Julius Malema. Word wakker en staan saam mense,,die vyand is op ons voorstoep. !!! WHILE the directionless whites still are at each others’ throats , busy with their petty squabbles about religion – who is a “Boer” and who is an “Afrikaner“- and still are divided between the liberal leftist prehistoric honkies such as Sloet De Villiers, Max Du Preez, Piet Croucamp, Adriaan Basson, Carl Niehaus – and the conservative rightists- millions of black illiterates already are busy amassing and mobilizing for a full-scale socialist tsunami to capture the presidency after the coming elections behind the worst faction imaginable. White Nation long ago already reported our speculation that the British “establishment ” are busy grooming Malema to become the future president of South Africa- hence his many visits to Britain. After all- the EFF was created out of British funding- specifically sourced from and funded by Nathan Kirsh- billionaire benefactor of the EFF. BETWEEN the underground intelligence networks of the ANC, CIA, Mossad, the British-controlled “war room” of the EFF- and the Ruperts, Rothschilds and the Watson Brothers- another cleverly diversion was created- the so-called ” Black Land First” radical movement with the half-wit Andile Mngxitama– ( supposedly a break-away from Malema’s EFF)- now acting as the top noise maker of this newly Intelligence-created hooligans. This is the tell-tale signs that the foreign intelligence organizations again is at work in South Africa- the creation of “new” political organizations and especially radical ones that suddenly jumps up and start to holler war-like slogans. It all revolves around instigating the masses into a revolt– normally against the current dispensation- but in this case against the age-old “Van Riebeeck” self proclaimed “threat.” The “land expropriation” issue also is a red herring to invoke mass emotions, create a “common enemy” (the white farmer) – and diversion to focus the attention away from the real threats. This all is to destabilize the current political environment. Waarskuwing: Die beeldmateriaal kan as skokkend ervaar word. Die video wys die wrede plaasaanval op Harm Bonnema, wat op Maandagaand 8 April 2019 plaasgevind het by Marble Hall. Dit is baie seldsaam dat die gebeure tydens ’n plaasaanval só duidelik op video vasgevang word. Deel asseblief hierdie video om die wreedheid van hierdie aanvalle aan die wêreld te wys. The dark lords reckoned that the coolest strategy would be to create a town crier that totally would destroy all parameters of political protocol and openly will scream death , hatred and blue murder against – as ever again– the white farmers of South Africa. Enough leftist media coverage will ensure the rainbow chicken public’s attention will be focused on this new diversion- and not realize what the Sith lords are planning behind the screens with the ANC, Malema- and what will be happening in the aftermath when the bogus elections are rigged and done. The ANC will loose power in many provinces- and as expected- the EFF will gain control– systematically taking over previous ANC strongholds. This then again will see the ANC going into a “coalition” with the EFF in that specific provinces – “sacrificing ” the presidential seat as part of a “deal” to Malema. It is estimated that the EFF will “conquer” at least 4 provinces of the 8 currently in the ANC’s possession. The Western Cape again will fall either in the DA’s lap- but there are now strong opposition coming from the Cape Party who stands for an independence province ( secede) with it’s own legislature away from the rest of the country- because of the DA’s water scandal, greed through unaccepted high taxes and levies- and poor management of the Western Cape. The Cape Party said on Monday that the desperate Democratic Alliance (DA) had lodged a complaint against it for failing to display the street address of the company responsible for printing the party’s posters. “In a curious turn of events the ruling party in the Western Cape has decided to invoke a minor technicality to have Cape Party posters removed from street lights across the Western Cape,” said the party via an emailed statement. According to Cape Party leader Jack Miller, this was because the DA feared a significant loss of support in the Western Cape on May 8 , when South Africa will hold its provincial and national elections. “The pettiness of this legal challenge, and other DA antics, suggest the DA is growing ever more desperate in their attempts to stifle opposition political parties,” said Miller. He said that a misleading SMS sent to citizens urging them “not to vote “ for small parties and fear mongering to scare voters into voting for the DA were further signs of the official national opposition’s desperate antics. “The IPSOS poll the DA referenced in its SMS propaganda campaign shows the ANC trailing far behind as they have always done in the Western Cape. What the DA really fears is a coalition government where coalition partners have the ability to hold them accountable. The DA wants a blank cheque in the Western Cape so it can continue to do as it pleases,” said Miller. ” The DA had never before resorted to such “petty and desperate measures”, said Miller, adding that this was a sign that its support among voters in the Western Cape was being challenged by parties like the Cape Party. • The repeal of the Division of Revenue Act, which will immediately make the Western Cape three times richer. (Currently under the DA the Division of Revenue Act gives 78% of our revenue from the Western Cape to the Central Government (ANC) and we never see it again). • The abolishment of affirmative action and BBBEE, this will immediately give our local people employment and businesses. • Stronger private property rights. (A state wherein your right to own property is sacrosanct with absolutely zero chance of it being expropriated). • Use of new technologies, like the block chain for payment systems, referendum, asset registers and the like. • Dramatically altered tax system for example the abolishment of all taxes on capital, like capital gains tax, transfer duties, estate duties, etc. • Abolishment of the myriad of small and irritating taxes, like vehicle taxes and financial transaction taxes,etc. • Reduction of company income taxes and abolishment of taxes on dividends. • Establish an independent “Fiscal Board” that uses VAT (by changing the VAT rate) as an instrument to assure balanced fiscal accounts over the economic cycle. • Means tests before anybody qualifies for a child support grant — like proof of inoculation, school attendance and so on. • Issuing of Coupons to parent, and allowing them to decide themselves to which school they want to send their kids. Limit the number of annual coupons to 12 per child. • Provide student loans to the best students and require them to repay these loans. • Reinstate education colleges and launch a project to make SA’s education system world class. • Allow state hospitals and clinics more autonomy and convert the department of health into state-funded medical funds for all. • Place Eskom, SAA and the other state-owned parastatals under business rescue, privatise them, sell or close them down, depending on the circumstances. • Launch a program to dramatically reduce the number of civil “servants” and pay the rest what they are worth. • Replace Politians with professionals through direct democracy which will reduce 30% of the tax burden to pay them. • Abolish departments like sport (what on earth does the minister of sport do? ), small business, women and so on. • Allow communities to appoint their own police, Magistrates and other civil servants who are accountable to the communities they serve via direct democracy. • Abolish all exchange control regulations. • Change the government’s employer’s pension fund to a defined contribution fund and allow members to migrate to funds of their choice. • Install a similar free market economic system than Singapore that has made Singapore the Third-largest foreign exchange market in the world in no time. Right wing….Left wing…..all parts of the same bird! -Freedom Front Plus (FF Plus) premier candidate Peter Marais also supports the idea of secession of the Western Cape from the rest of the country. He says he wants the Western Cape to be run independently from the rest of South Africa. Marais is advocating for self-determination in the Western Cape ahead of the general elections in May. With less than a month to go, Marais said there were enough resources for the province to stand on its own two feet. The Western Cape Constitution allows for the premier to call for a referendum, but no premier has ever decided to go that route, but that could change if Marais moves into the official residence. 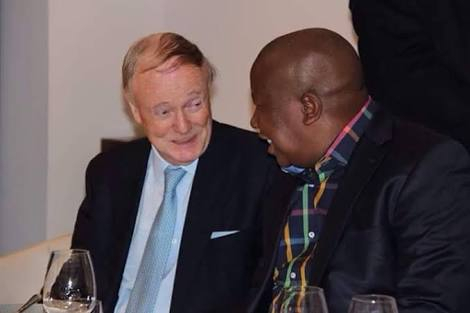 Julius Malema and his handler- Robin Renwick– maybe discussing some interesting plans to steal the country again? The British are meddling into South Africa’s political affairs as usual- ensuring the “right” people are in place. 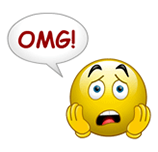 Malema soon will betray his own people for the sake of the silver dollar/pound sterling. Hippocrate Andile Mnxitama “pally-pally” with the “white oppressors”- liberal Ian Kerkhoff. Like the rest of these “hell-screamers” Mngxitama also is a fake. Large-scale farmers operating huge vineyards in the Cape wine lands and other commercial farms have expressed confidence in the leadership of ANC president Cyril Ramaphosa, with some even saying he was “chosen by God ” to lead. The farmers expressed these “sentiments “ during a public meeting with Ramaphosa lasting almost three hours on Tuesday at the Beyerskloof Wine Estate in Stellenbosch. ANC figures in the Western Cape said the meeting took place at the request of the big producers behind leading brands such as Kanonkop and Simonsig wines and Morgan Beef, among others. At the outset of the meeting, which took the form of a question-and-answer session, the farmers declared their “ love “ for Ramaphosa and even went biblical in their declaration of support for the ANC president. “The Bible says presidents and kings are appointed by the Lord. Mr President, you’re also anointed … David in the Bible was first anointed and then he was appointed, then he wrote the psalms. Mr President, I know that you’re going to write a lot of psalms for South Africa and it’s going to be a lot of excellent psalms,” said Beyerskloof owner and program director Beyers Truter, who later told TimesLIVE that he would be voting for the ANC on May 8. Another prominent farmer, Chris Steenkamp, also showered Ramaphosa with praise. “We like you, we trust you and we respect you,” he told the president. Former Western Cape premier Ebrahim Rasool, who is the ANC elections chief in the province, also said that Ramaphosa had been “anointed “ to lead. But other farmers raised serious issues affecting their businesses – including government red tape that sees it taking years to approve business expansion plans, and the National Ports Authority’s apparent failure to provide security of tenure to companies renting buildings at Cape Town harbor. Commercial farmers lobbied Ramaphosa to introduce initiatives to support wine exporters to create more jobs in an industry that employs around 300,000 people. “If you ever wanted someone who is serious about performance, you are looking at that person right now. ” Ramaphosa said if re-elected into office after the May 8 elections, he would see to it that government red tape was reduced. “I want the bureaucratic process to be cut by 50%. If it’s 30 days, it should be reduced to 15 days,” he said. “Red tape puts the brakes to the very wheels of our economy. “Quite often, there’s reason why they should take so long. It’s often because sometimes people want something from under the table,” he added. Ramaphosa asked the farmers to “trust “ him with their vote, saying he was an action-oriented man who would strictly manage the performance of the cabinet ministers he appoints after the election. “If you ever wanted someone who is serious about performance, you are looking at that person right now,” he said. He told the farmers not to fear the country’s land-reform program, saying the constitution compelled government to protect the interests of all citizens. “The land-reform process is something we must never fear. The constitution endears us to ensure that there’s security of tenure for everyone,” he said. Now suddenly the constitution “secure” tenure for everyone- but he and his ilk are hell-bent to CHANGE that ‘security ” soon! As for the national results will a soft “Koo-de Etat ” again be executed- and a hi-jack of the country into the radical Malema’s (and British establishments hands) -will again be on the cards. We saw the same thing happening in 1994 with the CODESA false flag operation whereby the National Party’s capitulation into communist hands already was discussed- set in stone – and prepared years before the actual “negotiations ” took place in Kempton Park. CODESA only was of academical value to dupe the general public.Politics is a dirty and dangerous game- and Malema only is the ” transitional” pawn- the same as Mandela was used for. The BLF and Mngxitama and his “land issue” is just another “diversion” to confuse the gullible rainbow chickens even more. After the elections we either expect the BLF to “disappear” silently- or change into the slot the EFF now holds. AS you can clearly see- behind every radical rebel organization there is a white Anglo/British intelligence operative at work. This is the EFF’s so-called “war room.” Look who is presiding the meeting…a Lilly-white Intelligence “advisor”– the same operatives we saw in the pre-1994 PAC offenses against the Botha Regime- and more recently in the Middle East caught in ISIS strongholds as well. Already the preliminary phases of the “regime change” are in place- union orchestrated riots, anarchy, destruction of property, lawlessness , chaos in the streets, – and uncivilized offenses against the public and foreigners (Xenophobic attacks.) A copy-book replay of Iraq and Libya to replace the current regime with another is more than evident. We also saw this same “Cointelpro “ program against the previous white government as well – where a series of covert, and most times illegal projects conducted by the British Intelligence , MOSSAD and CIA were conducted- aimed at surveilling, infiltrating, discrediting, and disrupting domestic political organizations. After all- Nelson Mandela himself received weapons training from the Israeli MOSSAD! We now again see the same disruptive program in progress. False flag operations such as the diversion tactics now also are thrown into the equation to divert the attention of the public away from the real objectives- replacing the “moderate” African National Congress with a more radical militant movement such as the EFF. Slowly the steps to a military state is in progress- from a peaceful Botha regime- to a more leftist radical ANC terrorist movement- to a fully militarized EFF dynasty- hence all the private armies with uniforms, berets and all. The weaponry already is stashed and ready in well-covered secret caches for and when the time comes to swing the “plan” into “action.” This then also is the reason the ANC regime does not act or even touch Malema- they are well aware- and have their instructions- to let him do as being ordered by his British handlers such as Robin Renwick. Julius Malema lashed out at Zimbabwe’s President Emmerson Mnangagwa,describing him as a”sellout “ for his plans to pay compensation to white farmers whose land was taken over by black war veterans nearly two decades ago.Crucial to this agenda also is the communist unions and taxi organizations- who both will play a pinnacle role in mobilizing the masses. The main objective of the Sith lords is to create total anarchy in South Africa- destroy it’s current political and social structures- and instigate civil disobedience. The call for a State of Emergency will then be “unavoidable” – which in turn will “justify” and substantiate the activation of the United Nations military Forces to step in and “save” the country from total destruction and bring back so-called “democracy.” . Through the United Nations- another new “interim” government will be appointed ( one that will regulate the country to a “new” dispensation of New World Order governance)– such as we have seen in the Middle East where more “user friendly” regimes now control most of the previous “rebellious” Arab nations ( and naturally- the rich oil fields.) Malema is the “chosen one” to create that “chaos” and “mayhem” in South Africa with lots of war, bloodshed and inhuman atrocities as we saw with Syria and the creation of ISIS- where-after the “Big boys” will step in- “defeat” Malema’s rag-tag black hooligan rebel “forces“- and capture the whole country (and it’s mineral riches) for the Sith lords. So as ever again- is the black African exploited as the useless cannon fodder to serve a higher and darker agenda. For this reason the white Afrikaner have to be disarmed , impoverished, neutralized and disabled at all costs- as the white Afrikaner is the only pawn on the chess board of death that might throw all this neatly planned agendas of the Sith conquerers in disarray- and THAT the Sith lords do not want. 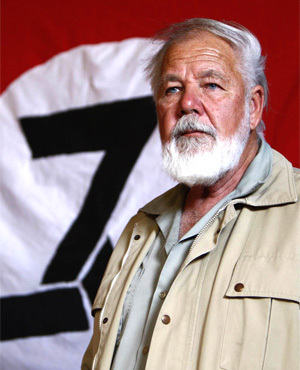 Eugene Terreblanche– Afrikaner leader assassinated under very questionable circumstances by National Intelligence operatives in a “black-ops” exercise to prevent white nationalism , unification of Afrikaner groups- and possible “right wing” uprise against the current pre-planned hand-over agenda to a United Nations controlled “peace” government. Alexandra protesters moving towards Sandton… Please avoid when in area. 🆘‼😯👮‍♂️ #Greece: Here again shows how much the illegal migrants the life of a young girl is worth, the child is abused as a battering ram against the Greek policemen at the camp #Diavata! Simply disgusting! ALREADY South Africa experience umpteen incidents of violent riots and thuggery. There is a deliberate agenda to create a national “shut down.” The “plan” appear to be to create as much riots and chaos across many places as possible so the South African Police must loose control of the situation- which immediately will prompt Ramaphosa to send in the Calvary. This then will be the birth of a ” Police State”- and exactly what the devious conspirators behind this agenda hope to achieve.Many people sense and fear this coming chaos- and people are selling their homes on a big scale to flee out of South Africa. Reports of protests in various parts of South Africa have been received as the “Total Shutdown” movement spreads. Tshwane is reportedly undergoing a shutdown, with Mokopane and Shoshanguve apparently blocked and inaccessible. There are also reports that the R101 near Hammanskraal has been barricaded. Clouds of smoke above Hammanskraal have also been reported. Motorists in the area can expect delays of up to an hour in the Tshwane area according to Power FM. Even school children are commanded to participate in these acts of violence and chaos. Black school children claiming to be “ fighting against school violence ” left some business owners in the Joburg CBD petrified after they looted shops and attacked street vendors. This week , the owner of Bree Hardware had to be rushed to hospital after he sustained injuries to his head when a group of black learners, still in school uniform, trashed his shop on Bree Street, Newtown. The pupils were on their way to Luthuli House to stage a protest against violence in schools, among other grievances. The learners, members of the Congress of South African Students (Cosas), had gone to the ANC headquarters to call on the party to respond to a memorandum of demands handed to it last year. However, they left a trail of destruction on their way. “My boss has been taken to hospital because of what those kids did. He was seriously injured on his head. They took everything and we had to close the shop,” said an employee. The group also made a stop at Spar Tops liquor store on Ntemi Piliso Street, trashing the shop and made off with alcohol. The store had broken glass and bottles all over the floor and on the pavement. The fridges had been emptied. “There were over hundreds of school kids who came into the shop and they took all sorts of drinks – bottles, cans, and dumpies. By the time they were inside, we were unable to stop them,” said one of the employees, who was sweeping up broken glasses. The owner of an electronics shop in Newtown, who identified himself only as SK Adil, said the crowd managed to enter the premises before he could close. “They took about 30 phones which were supposed to be repaired. They also took portable speakers, chargers and pretty much anything they could get their hands on. “They also beat up one of my older workers and took her phone. We just ran to the back to hide for our safety. It was terrifying. I don’t know how I’m going to replace the lost phones and obviously the customers will not be impressed,” Adil said. Black school children waded into the streets of Johannesburg this past week – creating chaos and plundering- assaulting foreign business people. PRETORIA (10H50) Petrol bombs are currently being used in Luderitz street. (08H00) Bremmer and Van Der Hoff roads are open again. Vehicles are being pelted with rocks on the intersection between Theo Slabbert and Van Der Hoff roads. (07H30) Bremmer and Van Der Hoff roads are closed to traffic. (06H15) Hornsnek Road is closed. (06H00) Daspoort tunnel open to traffic again. (04H30) Unrest reported in Pretoria Gardens. Daspoort tunnel on Bremmer Street is closed. Stones are being thrown at vehicles and tyres are being burned on the corner of Van Der Hoff and Hornsnek roads, as well as the corner of Theo Slabbert and Van Der Hoff roads. The N2 highway between Somerset West and Cape Town is in chaos as black “land grabbers” have taken to the streets, burning tyres, setting vehicles alight and pelting cars with stones on Thursday morning. According to Heyns de Waal, chief operating officer at GBMED RESCUE, protests began at around 21:00 on Wednesday. “There have been land grabs along the N2 on Sanral’s property. These land grabbers have been erecting poles all week. 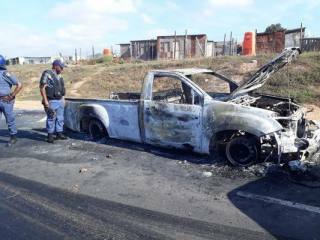 The SAPS and metro police then moved in to remove them and everything then just erupted into chaos,“ De Waal told News24. “At first they started burning tyres sporadically, but they came out in force at 21:00 and started targeting businesses along the N2 at Broadlands Road. We then deployed officers to the scene.” According to De Waal, protesters rolled burning tyres into shops and completely destroyed a liquor store, running off with crates of beer and other alcohol. Thousands of residents who invaded land illegally in Nelson Mandela Bay will get services.Yet Ramasquirrel keep on telling the world Land Grabbing has not happened in South Africa? Will voters’ perception of the #TshwaneShutdown / #TshwaneTotalShutdown be different to that of #AlexTotalShutdown #Alexshutdown? A Power FM caller has also said there are protests over ongoing problems regarding electricity in Vanderbijlpark, Gauteng. There have also been reports of JMPD firing rubber bullets at protesters in Orange Grove, Johannesburg. Protests are also taking place between Somerset West and Cape Town, with reports of burning tyres, the stoning of vehicles and vehicles being set alight. Authorities are responding to two demonstrations – one in Somerset West, the other in Khayelitsha. The Democratic Alliance, meanwhile, has tweeted that “the Tshwane, Alex and Khayelitsha violent protests are a clear indication that the ANC is prepared to burn the country to the ground as they are on the verge of losing more provinces in the coming elections”. ANC-sponsored destabilisation and anarchy campaigns have emerged across the country. The municipal buildings in van Der Bijlpark was torchedby balck rioters. CAPE TOWN: Planned shutdown as from 03:00 on 2019-04-11 with blockage of main routes in Bonteheuwel, Delft, Khyalitsha, Langa, Lwandle, Mitchells Plain, Nyanga, & Strand.. Roads will be blocked by protesters burning Tyres.. Passing vehicles will possibly be stoned and burnt. Baden Powell Drive is closed from Khayalitsha to Swartklip. Unrest,land grabs, tyres burning, road blocked with rocks. A Power FM caller has also said there are protests over ongoing problems regarding electricity in Vanderbijlpark, Gauteng. There have also been reports of JMPD firing rubber bullets at protesters in Orange Grove, Johannesburg. The protesters were reportedly blocking traffic near Louis Botha Avenue, demanding that mayor Herman Mashaba allocates houses to them. Over in the Western Cape, protests are also taking place between Somerset West and Cape Town, with reports of burning tyres and vehicles being stoned and set alight. Cape Town’s biggest township, Khayelitsha, is apparently undergoing a shutdown, with burning tyres and rocks blocking roads. According to TimesLive, a Khayelitsha total shutdown has been planned over water bills. Protesters accuse the City of Cape Town of “ripping off” the poor with high bills. An organization called the Water Crisis and High Bills group – chaired by a preacher from a local Methodist church, Bishop Derrick – is allegedly behind the protests, which began at 3am at the church. Here we clearly again see the meddling of the British in South African affairs. Pre-1994 it was the Anglican Church and Rev. Huddlestone that was behind many violent riots. Reports have also been received that there are protests in Kroonstad in the Free State, including road closures and burning tyres. Residents have apparently embarked on the protest after alleging the area’s municipality has been misusing money meant to build a new mall in the area. The Democratic Alliance, meanwhile, has tweeted that “the Tshwane, Alex, and Khayelitsha violent protests are a clear indication that the ANC is prepared to burn the country to the ground, as they are on the verge of losing more provinces in the coming elections”. “We have gathered evidence of the ANC’s coordinated campaign to literally burn parts of South Africa, particularly where the DA governs. This is indicative of an organisation that is becoming desperate as the writing is on the wall. On Tuesday evening, ANC and ANC Youth League members stormed the Gangster Statebook launch and destroyed copies of the book which details Ace Magashule’s reign of corruption in the Free State. We identified some of the instigators to be ANC Councillors in the Free State. ANC affiliates have a long history of destroying DA billboards, which highlight the truth – the ANC has robbed the people of South Africa of opportunities. These are but a few examples of how low the ANC is willing to go to cling onto power. 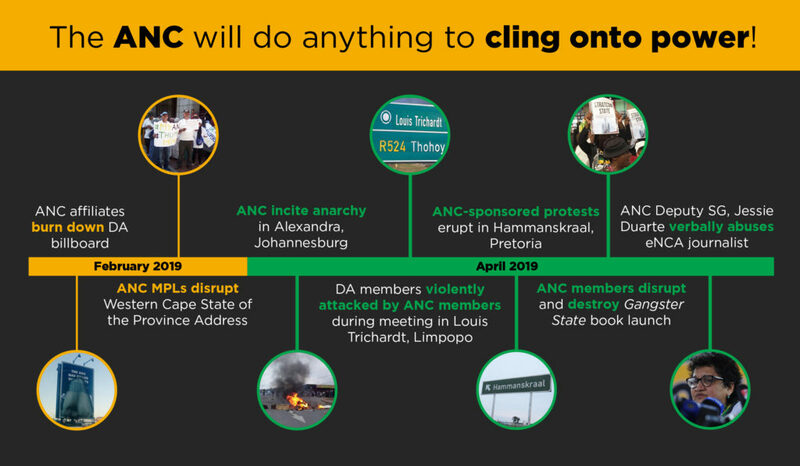 Violence and chaos have become intrinsic to the ANC’s brand of politics and these events paint a vivid picture of a governing party which is willing to burn the country through fear and intimidation tactics just to stay in power. AS we all clearly can see the signs of the times- there is a definite destructive agenda behind the destruction of South Africa. The upcoming 2019 elections seems to be a very delicate , decisive and water-shed affair- maybe the last free election South Africa will experience before it finally descents into the purgatorial abyss of chaos and anarchy. Gwede Mantashe but long ago warned that the ANC will not easily hand over power to a new dispensation- and by the look of it- his words started to sound very prophetic. Already we see signs of political instigated violence across the country. Blacks in South Africa are exploited to drive the agenda e-masse- and white Afrikaners are exploited to act as the “common aggressor.” Behind this evil agenda we will find the Jew conspirator in Britain and the USA. They have always been the instigators of many destabilizations of healthy countries across the globe where there is an abundance of especially mineral riches- and that also now is the case in South Africa. With The Russians and Chinese flooding Zimbabwe- the Americans occupying Botswana- and the British muscling in on South Africa- it will not be long before the proverbial flint hits the power keg- and all hell brakes loose!